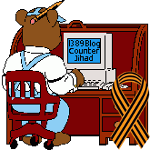 Watch trailer of new Oliver Stone’s documentary ‘Ukraine on Fire’ — 1389 Blog - Counterjihad! Oliver Stone interviews the main actors of this phenomenon, including the president of Russia, Vladimir Putin, and the former president of Ukraine, Victor Yanukovych. OLIVER STONE accuses the CIA for UKRAINE’S COUP and the KIEV MASSACRE. He believes the Western Media is NOT reporting the TRUTH about the developments of the Ukraine’s Crisis. ‘Putin’s Russia’, ‘the America of Obama and secretaries of state’, ‘the Ukrainian minority: pro-Nazi’, ‘NATO and international conflicts’, ‘Cold War 2.0’: these are the keywords of the new documentary film by director Igor Lopatonok, produced by Oliver Stone. Ukraine on Fire received its national premiere yesterday at the Taormina Film Festival in Sicily. The film is a jewel that has further enriched the quality of the movies playing at Taormina Film Fest, a venue which brought to Sicily some of the greatest exponents of American cinema, including Harvey Keitel, Ray Winstone, Richard Gere and Oliver Stone, winner of two Academy Awards.